1972 Gucci Hornet Sportabout. 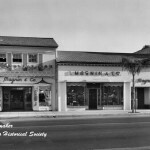 Image courtesy of AAA. 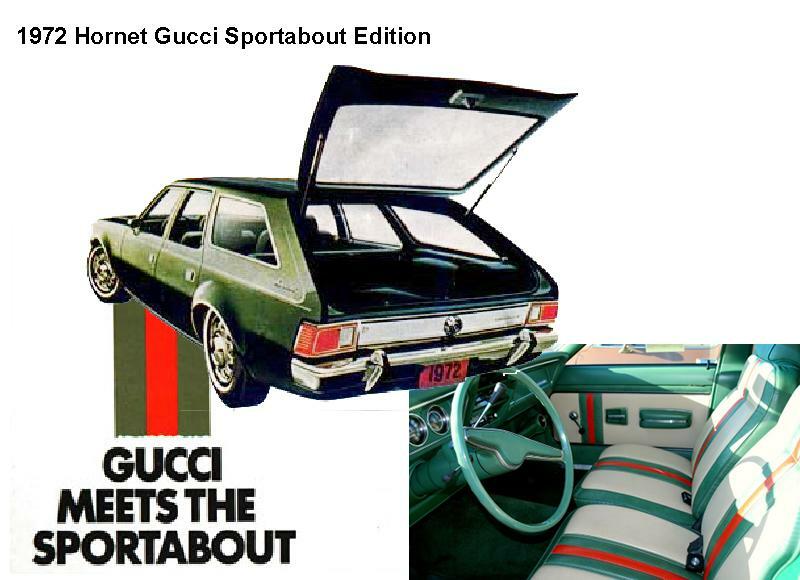 For this model year Gucci designed the “Sportabout” Hornet station wagon to feature the company’s signature colors (green, red, and beige) on the seats and door handles. The car’s exterior was often painted white, tan, or a shade of green. In 1972 over 2,500 Gucci Edition Hornets were sold, with a few hundred less sold in 1973. 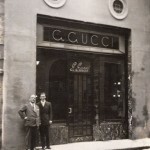 The Gucci Hornet inspired the Lincoln car brand to do the same sort of thing on versions of their Mark IV luxury car—for their collaborations, Lincoln chose to work with designers like Cartier, Emilio Pucci, and Givenchy (I think I would gladly take a car designed by any of them, wouldn’t you?). Lincoln reportedly turned down Aldo Gucci’s proposal for a Gucci-designed Mark IV, so he got in touch with General Motors and partnered with International Automotive Design Incorporated (I.A.D.) 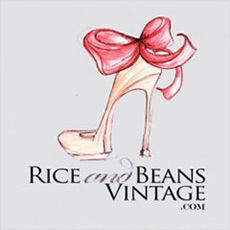 in 1977 to begin designing Gucci editions of the Cadillac Seville out of their Miami branch. 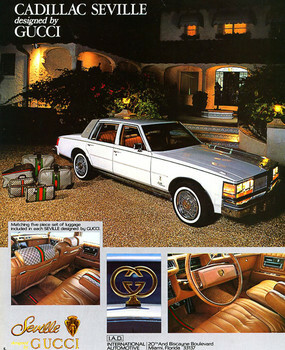 1978 Guccie Seville advertisement. Image courtesy of International Automotive Design, Inc. Although there was a choice of a white, brown, or black exterior to the Gucci Seville’s, all interiors were made of a camel-colored leather. The famous Gucci pattern was installed wherever possible on the cars—headliners, headrests, armrests, onto the hoods and trunks. Any Cadillac logos were removed and replaced by 24-karat gold GG emblems. Most importantly perhaps (to a fashion-lover-but-not-car-lover like myself, at least), a fitted set of Gucci luggage came with the car, snugly stowed away in the trunk. Gucci Fiat 500. Image courtesy of Car and Driver. 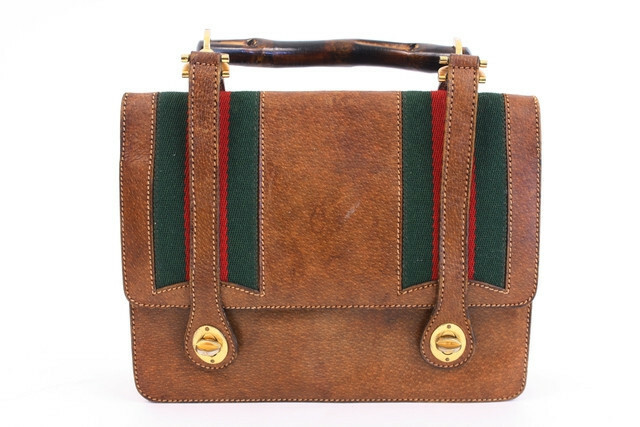 1960s Vintage Gucci bag at Rice and Beans Vintage.